Once again inspired by my lovely sister, I have started a second blog in which I will share all the creative things I am making and enjoying. I hope you like the heading photo in which I have tried to incorporate all my interests and loves. Over the following posts I'll be sharing photos of all the fun I am having creating and making and I hope you will find them inspiring. You'll pick up pretty quickly that there are certain themes I keep returning to, hearts, paisley shapes, glass beads, buttons and the colour purple! The list keeps getting longer as I type! Please feel free to comment about the things you enjoy or ask questions. an idea I got from Etsy, felt acorns (i.e. 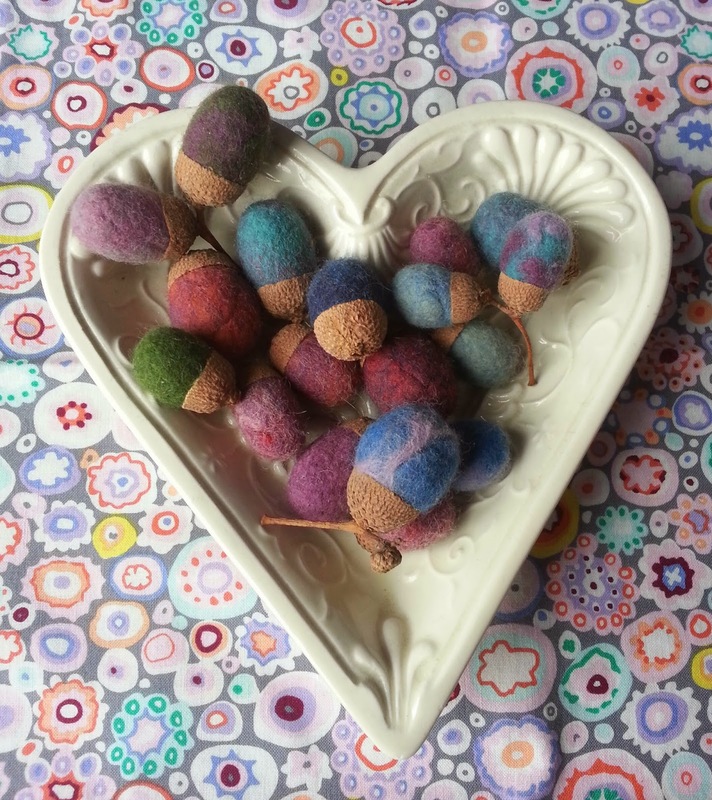 squashed felt beads) in real acorn cups. My sister and our two daughters and I had a great day making them one autumn.